Hidden gem off Moss Side in the heart of Baton Rouge !! On highly desirable Burden Lane, this 6 bedroom/ 6.5 bath home has it allâ¦Entire home is completely renovated with a new master suite addition downstairs!! This home welcomes you with a gated courtyard and fountain, newly opened floor plan with kitchen and keeping room, and separate formal dining room. The guest suite above the garage is equipped with a full bathroom, kitchenette, living room, with balcony overlooking pool and 1.13 acre of picturesque backyard. With the unique design of this home, it now has 2 complete master suites. The original master upstairs has added an attached office/TV room, the original office upstairs is now bedroom #4 with a private bathroom and closet. Downstairs has 2 bedrooms with a Jack and Jill bath and the new master suite featuring a large closet with washer and dryer hookups. The brand new gourmet kitchen features cabinets to the ceiling, 48â Wolf range oven with red knobs, 60â Subzero refrigerator/freezer, custom kitchen pantry. This Butlerâs pantry includes a wine cooler, liquor pull out drawer, wine glass storage, and lots of cabinets. 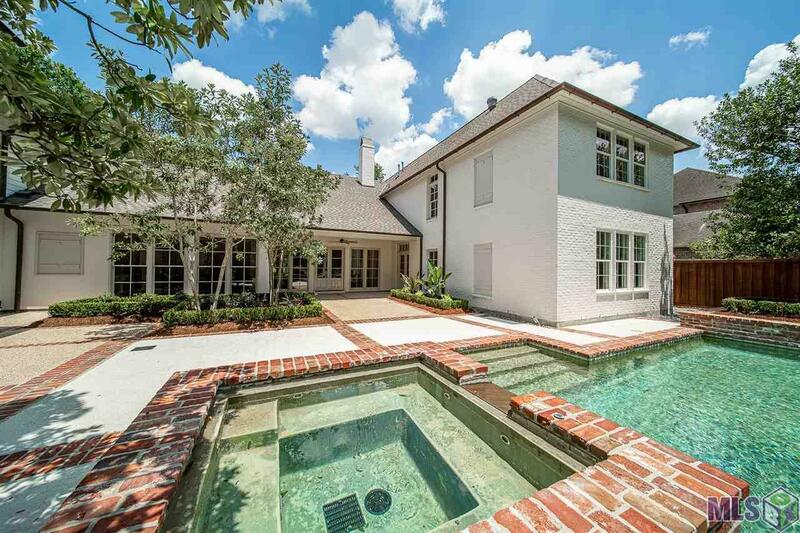 This ultimate entertainerâs delight has lavish landscaping around the beautiful custom saltwater pool and hot tub. The new bricked outdoor kitchen with stainless doors and granite slab boasts a 36â stainless grill, sink, and beverage cooler, near the new pool bath. You can practice your golf skills on the 5-hole putting green or enjoy playing volleyball in your own backyard. There is plenty of room for your toys in the 3.5 car garage with a hide-out detached âShe-Shedâ/workshop.Smart home technology in this home is pre-wired only for cameras, security system, lighting, & surround sound. Exterior: Balcony, Hot Tub, Landscaped, Outdoor Fireplace/Pit, Outside Kitchen, Porch, Sprinkler System, Storage Shed/Bldg.